NASHVILLE, TN — The Nashville Predators made more transactions last week as their busy off- season continued. They named a new coach for their minor league affiliate in the American Hockey League and signed three new players to two-way contracts that allow them to either have them on the roster or gaining more experience in the minors. They announced that Karl Taylor would be the new head coach of the Milwaukee Admirals. Taylor, 47, has been an assistant coach with the Texas Stars of the AHL the last four seasons. During three of them the Stars made the playoffs, and last season they reached the Calder Cup Finals where they lost to the Toronto Marlies in seven games. 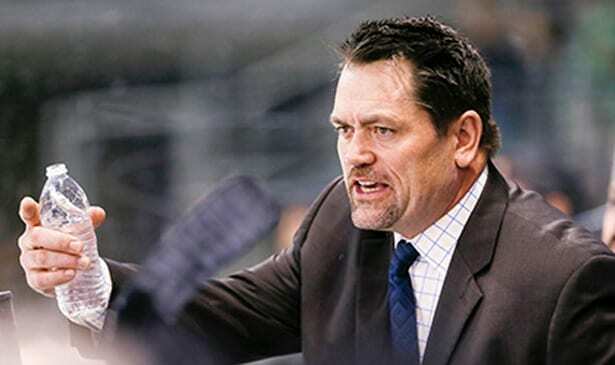 He’s also been an assistant for the AHL’s Chicago Wolves and the Portland Winterhawks in the Western Hockey League, and was an head coach in the ECHL with Reading from 2005-08 and Ontario from 2008-11. “Karl comes highly recommended to us with a diverse skillset to coach and develop players,” Predators general manager David Poile said in a statement. Some of the players he will be working with may include three that the Predators signed last week as well. Forward Connor Brickley, defenseman Jarred Tinordi, and forward Rocco Grimaldi signed two-way deals, which allows the Predators to give them playing time in Milwaukee until they are ready to join the big league club. But the unanswered questions remain whether the Predators will sign defenseman Ryan Ellis, who has one year left on his current contract, to a new deal, and whether any of the four top defensemen will be traded in an effort to get more scoring help on the front line. With only four choices in the recent draft, and no announcements regarding any free agent signings, Predators’ fans wonder whether Poile has another surprise planned regarding a deal for more offensive firepower.